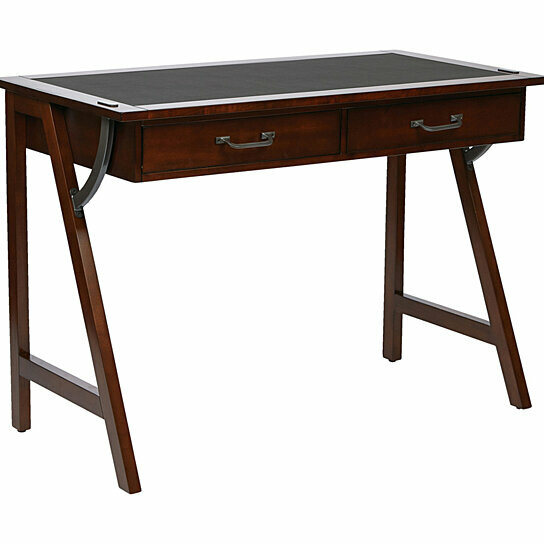 Dorset 44" Computer Desk in Cider Finish with Trestle Solid Wood Legs and Sawhorse Frame. Solid wood and veneer. Assembled Net Weight: 39 lbs. Weight Capacity: 50 lbs. Color: Cider Finish. Warranty: OSPD. Country Of Origin: China.